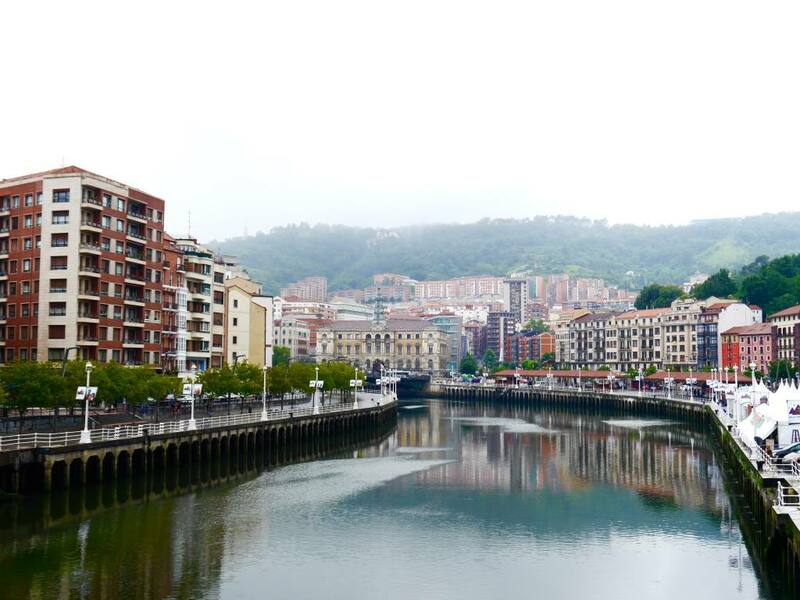 I recently spent 48 hours in Bilbao, Spain’s largest Northern city and the capital of The Basque Country. This trip was part of an exciting project with the Spain tourism board, which involved 10 bloggers visiting 10 lesser-known cities around Spain on the same weekend. The participating bloggers were stretched all the way from the North to the South coast and were exploring cities like Girona, Zaragoza, Cadiz and Segovia. We all stayed in touch using the #SpainCities hashtag throughout the weekend, so although I was travelling alone, I didn’t feel alone at all. 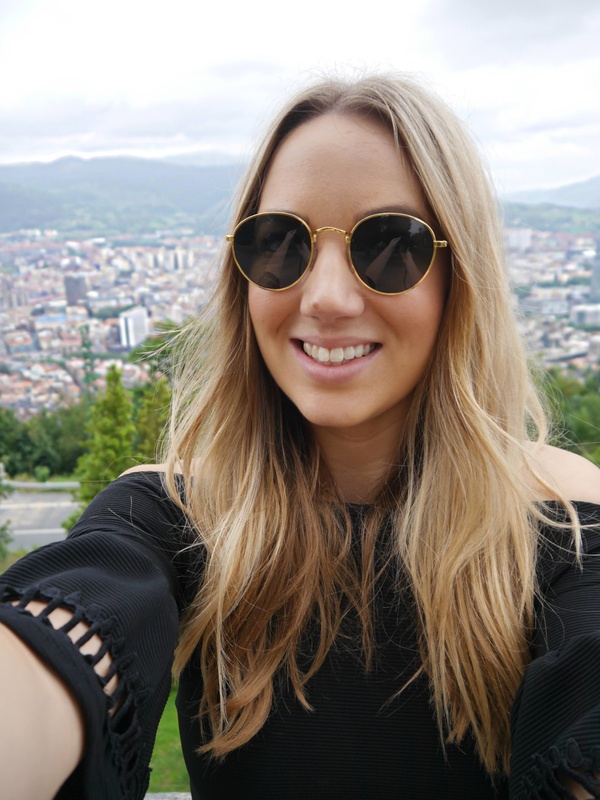 As one of the 10 participating bloggers, I had been assigned the challenge of experiencing the best of Bilbao in 48 hours. 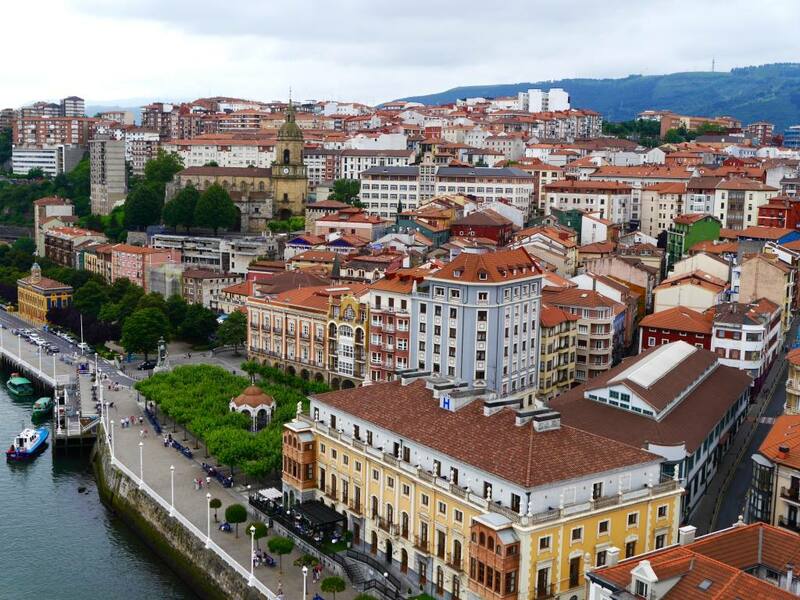 From Old Town Bilboa to the Guggenheim Museum, I had just 48 hours to see it all. 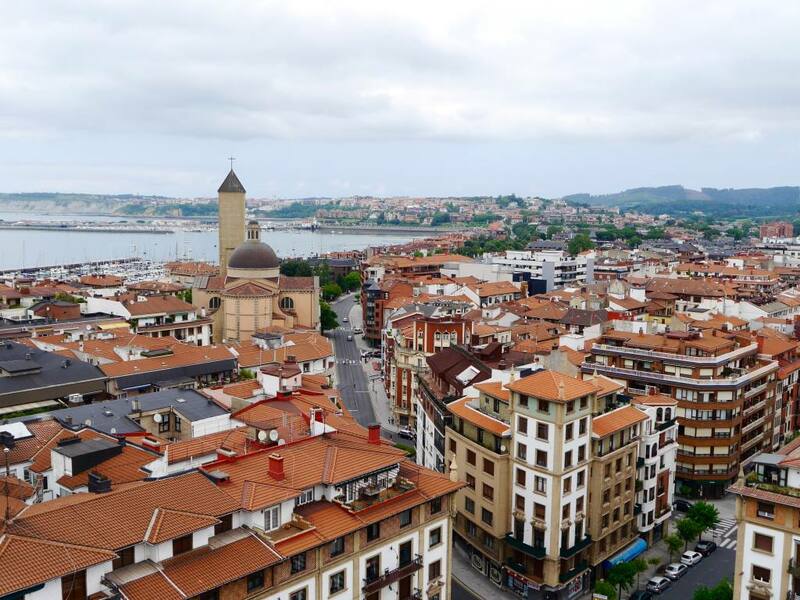 Although I have been visiting the South of Spain since I was a child, it was my first opportunity to visit Northern Spain and its famous Basque Country. 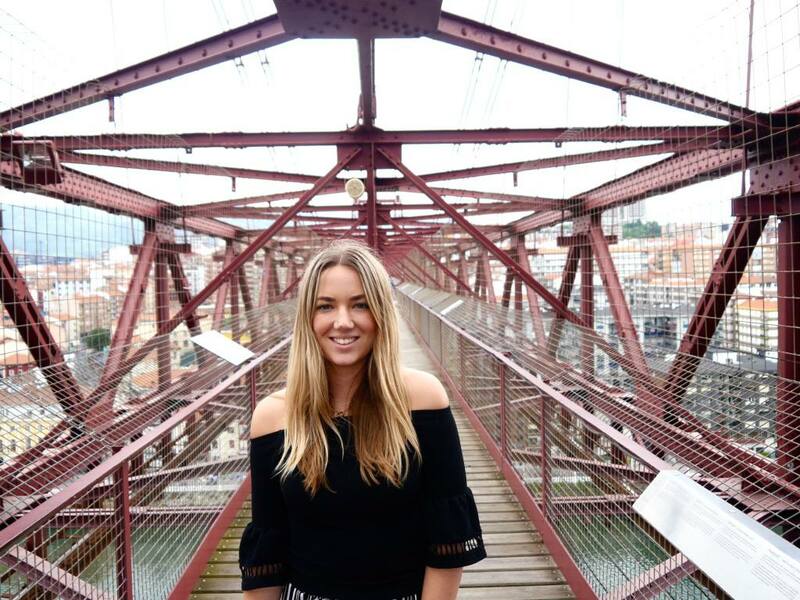 Combining all of the ‘must-sees’ with some local tips and hidden gems, I’ve put together this 48 Hour Guide to Bilbao. Before I get started, let me give you some background on Bilbao. 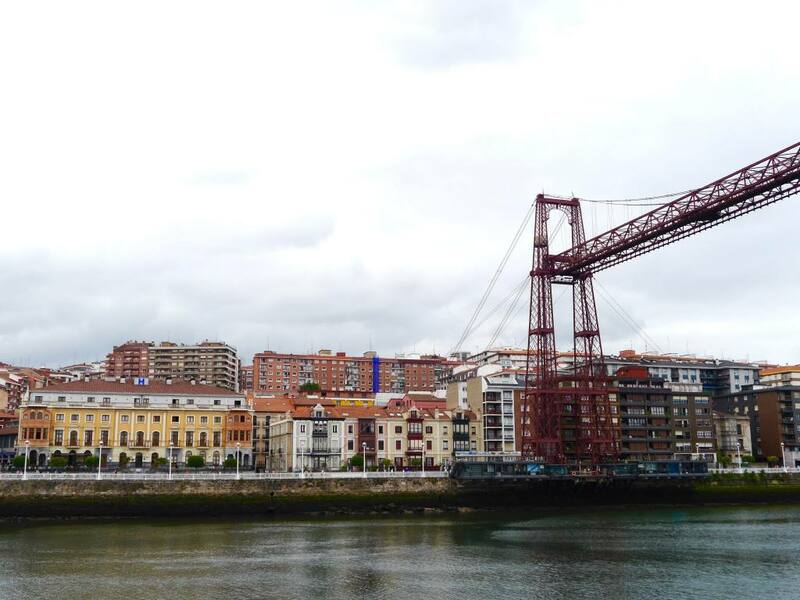 Until it’s recent regeneration, Bilbao was a very industrial port city with very little tourism. But that has all changed! 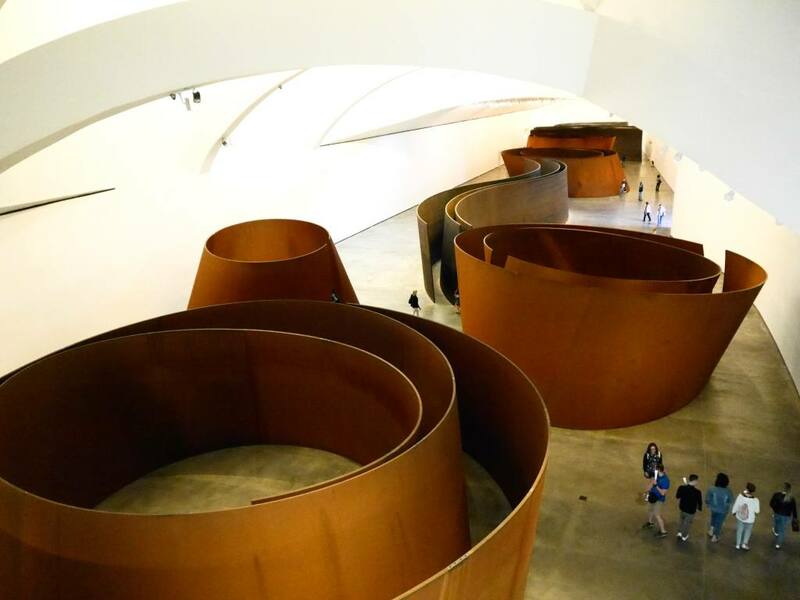 Thanks to a big clean up of the city and the arrival of a world-famous Guggenheim Museum, Bilbao has become an alternative and on-trend city break destination. 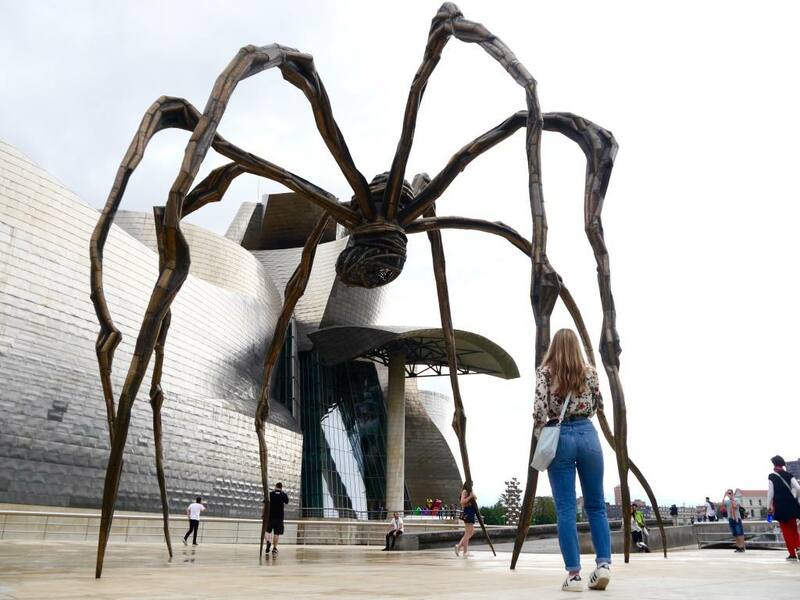 Otherwise known as ‘The Guggenheim Effect”, Bilbao has the museum to thank for its new identity. 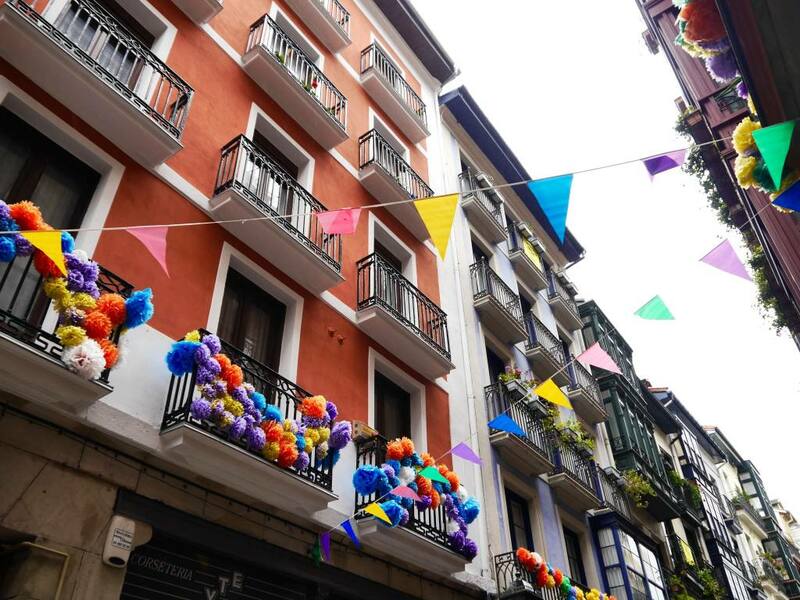 The pretty Old Town (Casa Viejo) has been revived, new cultural hotspots have been created and the incredible Basque cuisine and Pintxos (tapas) continues to steal the show. For a full 48 hours to explore Bilbao, I would recommend flying in the night before your first full day. I was visiting over a weekend so I flew into Bilbao late on Friday night. It’s a quick 15-minute taxi drive from the airport into the city centre, or you can take an airport shuttle bus, which may take a little longer. I stayed at the Ercilla Hotel, which proved to be a stylish and central city break base. Start your day with a foodie walking tour of The Old Town, otherwise known as Casa Viejo or the ‘7 Streets’. This is where you’ll find the best Pintxos in the city, so don’t eat too much at breakfast. 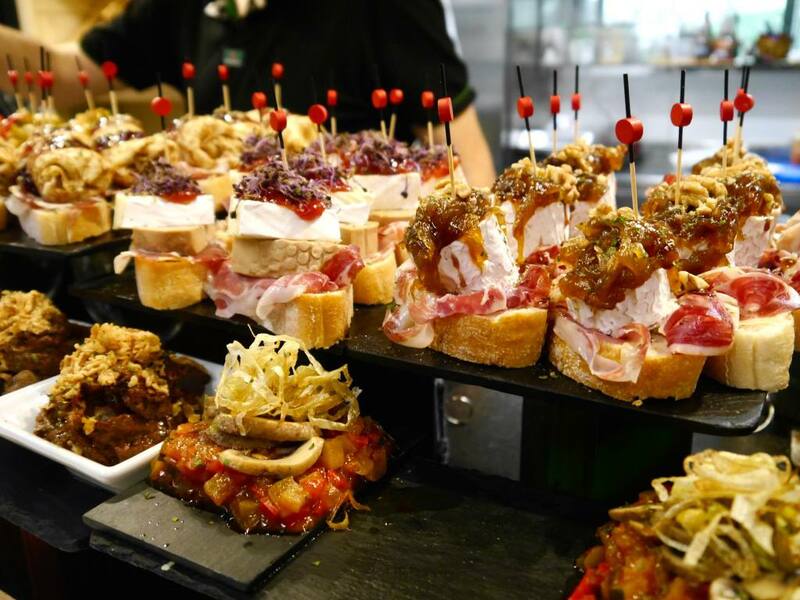 Pintxos is the Basque Country’s answer to tapas and is the word to describe delicious small plates commonly enjoyed as a pre-lunch or pre-dinner snack. Priced at around €1.80 per plate, your Pintxos pit stops won’t break the bank. 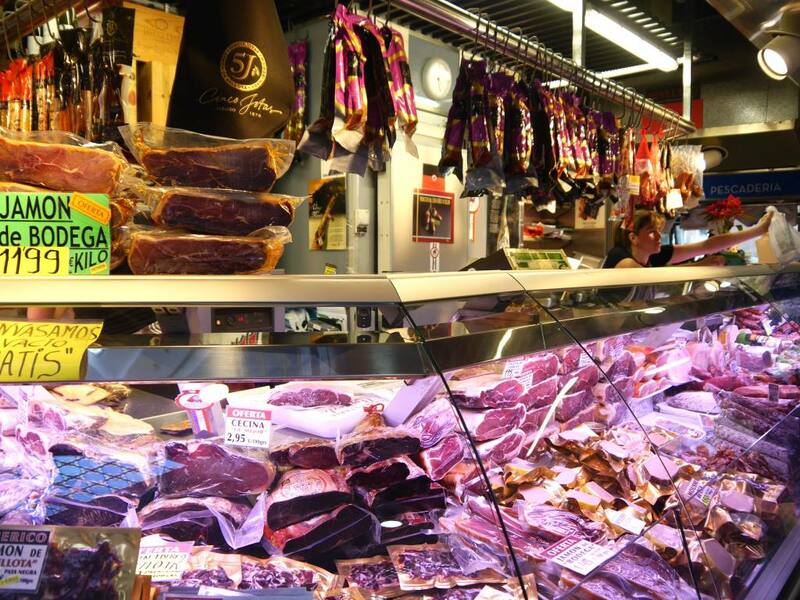 Once you’ve explored the 7 streets, end your walking tour at the bustling Ribera Food Market and check out the food hall for more incredible Pintxos. 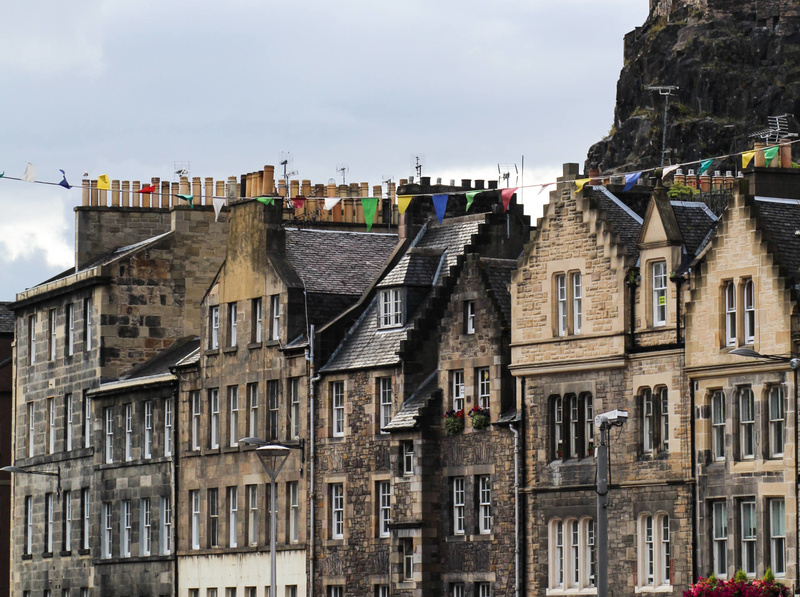 Either navigate your own walking tour or book an official guided walking tour in advance. 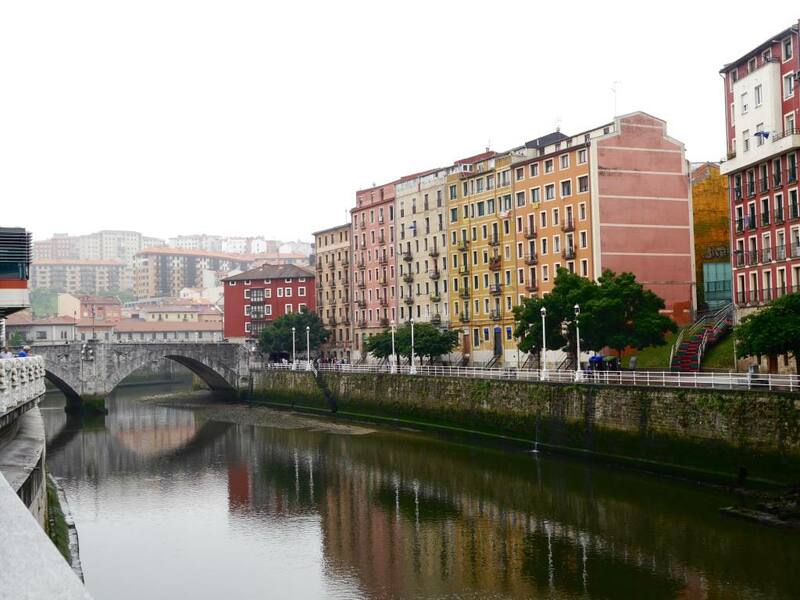 After a foodie morning in the Old Town, take a walk along Bilbao’s famous waterfront towards the Guggenheim Museum. The riverfront promenade has an eclectic mix of traditional and modern architecture and is buzzing with both tourists and locals. After a leisurely 10-minute walk, the unmistakable Guggenheim Museum will come into sight. 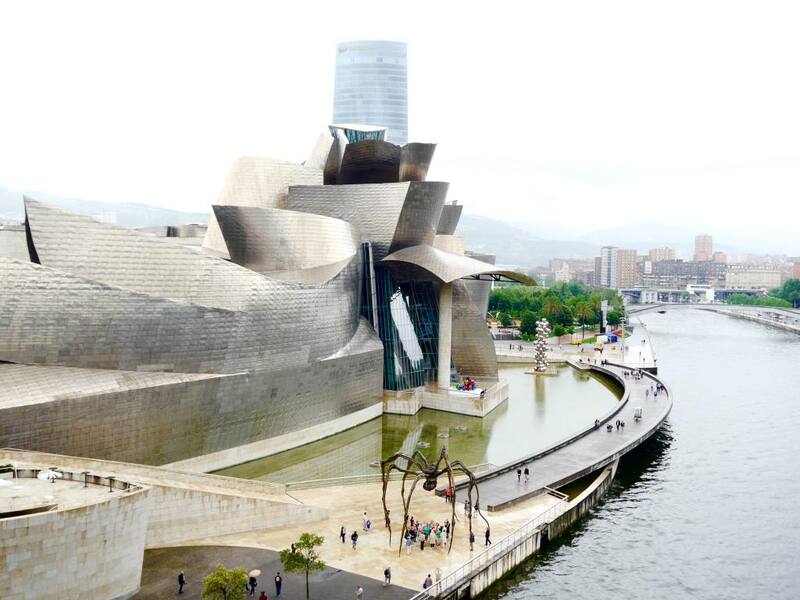 Whether you’re a culture vulture or not, it would be a crime to go to Bilbao and not visit it’s most iconic attraction, The Guggenheim Museum. The building itself is an architectural work of art and you can enjoy the surrounding sculptures without even setting foot in the museum. The amount of time to allow in the museum depends on your level of interest. I am not a huge museum lover but I spent about 45 minutes checking out the weird and wonderful exhibitions. 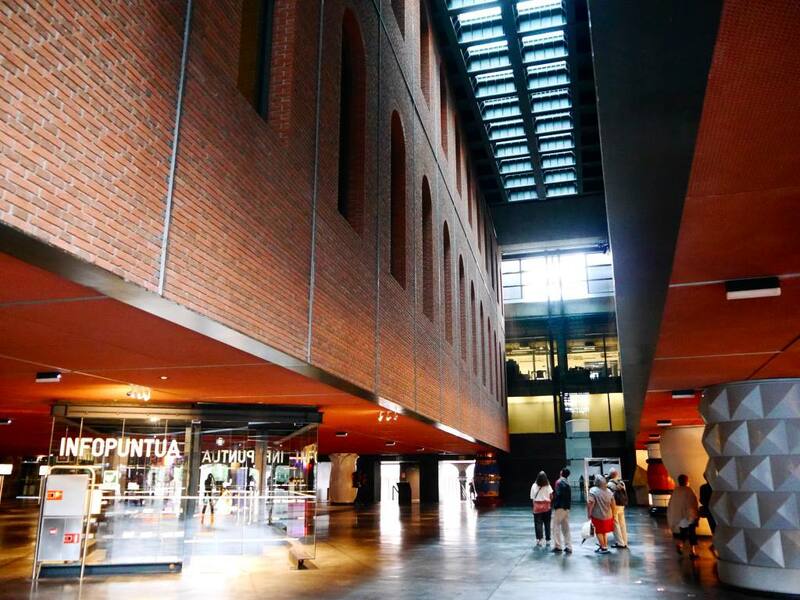 If you have time to spare after the Guggenheim, there are lots of other museums in Bilbao worth visiting including The Fine Arts Museum or The Basque Ethnological Museum. Start your evening back in the Old Town and head to the Plaza Nueva. This buzzing historical plaza is home to about 20 Pintxos bars which come alive between the hours of 12pm-3pm and 6pm-8pm. It’s the custom to hop from bar to bar and try a different Pintxos along the way. By having some pre-dinner nibbles you’ll be able to hold out and have dinner at ‘Spanish time’ (between 8.30pm-9.00pm). 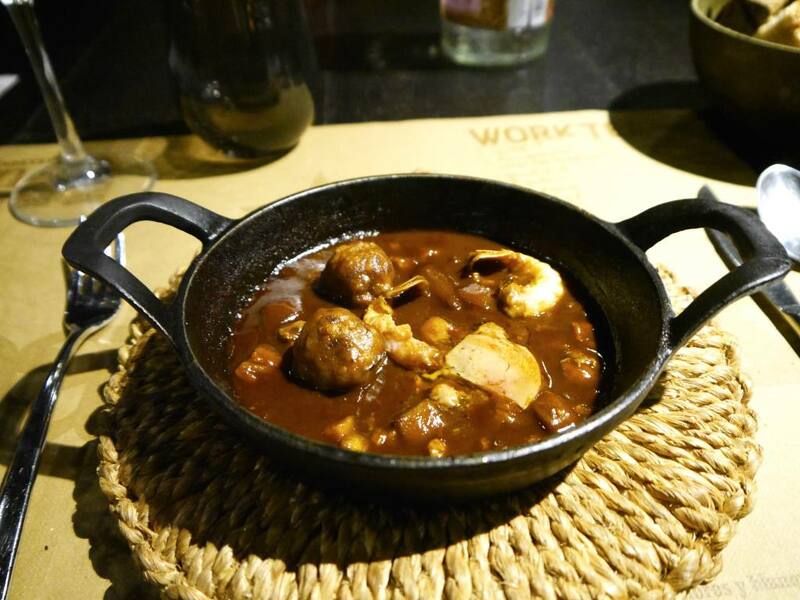 For the main event, treat yourself to the ultimate Basque dining experience at upmarket restaurant Bascook. This underground restaurant is a hidden gem, loved by locals in the know. The fine dining menu offers a creative twist on traditional Basque flavours, the service is 5-star and the restaurant itself has a great atmosphere. I opted for the tasting menu and every dish was fantastic. Be sure to book in advance. Start Day 2 with a free visit to the Azkuna Zentroa, an old wine house that has been converted into a culture and leisure centre. Once inside, be sure to look up to see the unique sight of people swimming on a glass bottom infinity pool. Various exhibitions set up within the building and there is an information point for tourists. The Azkuna Zentroa is very central and you would need no longer than 30 minutes to 1 hour here. 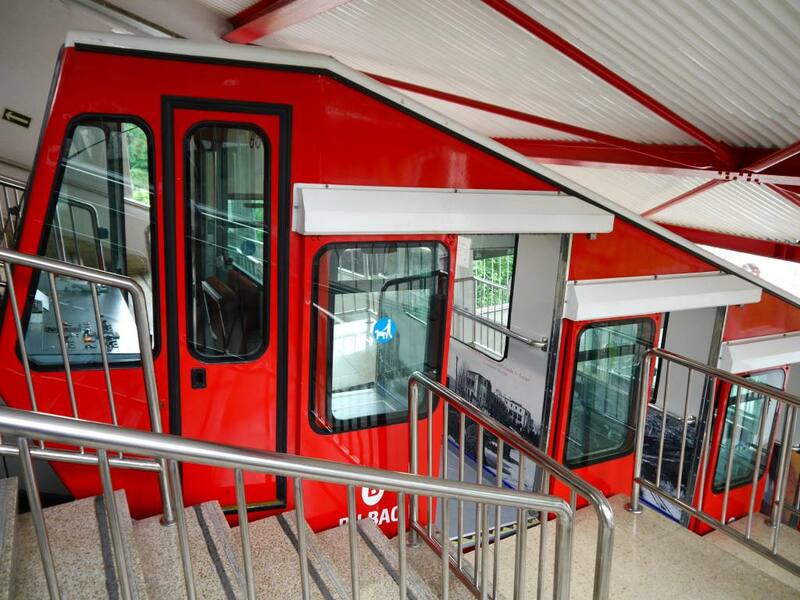 Mid morning, catch the Artxanda Funicular up to the viewpoint on Mount Artxanda. 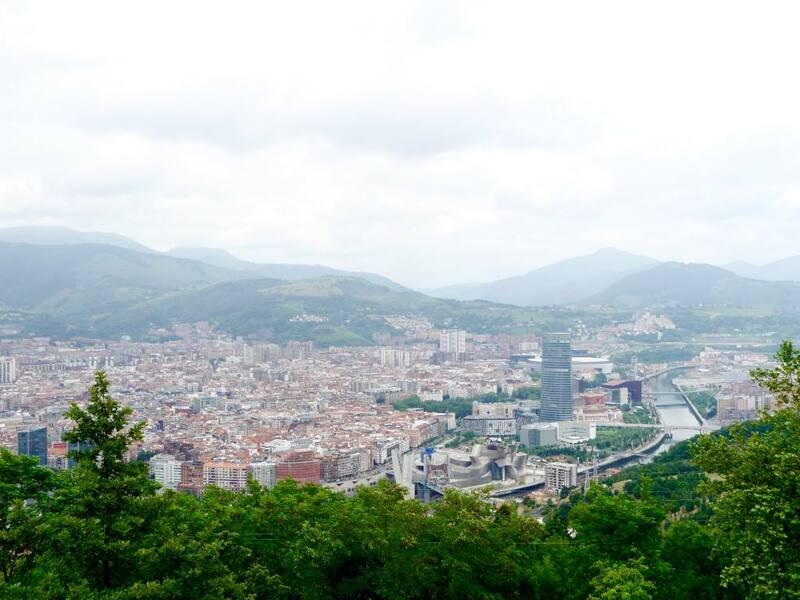 You’ll find a spectacular panorama of Bilbao and some great photo opportunities. It only costs €0.95 cents to travel up or down on the Funicular. 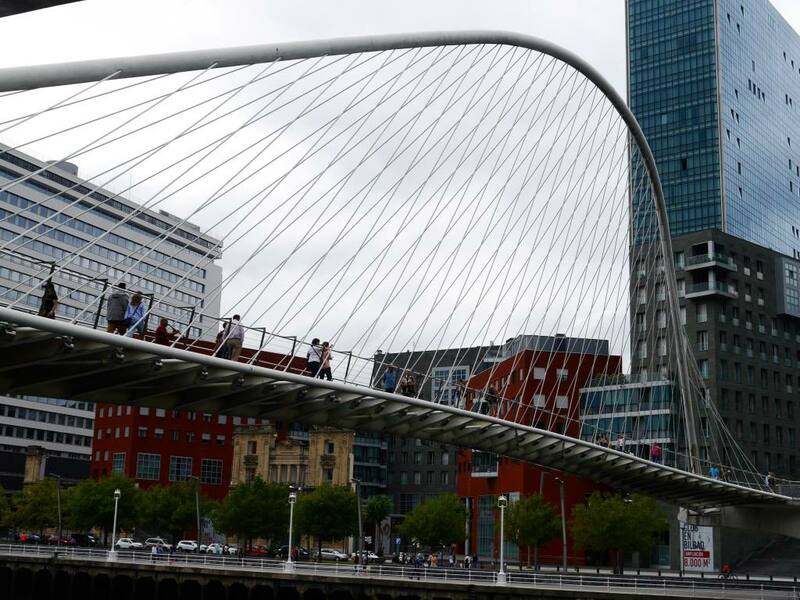 Lots of people are surprised to find out the Bilbao is only 20 minutes from a sandy beach. 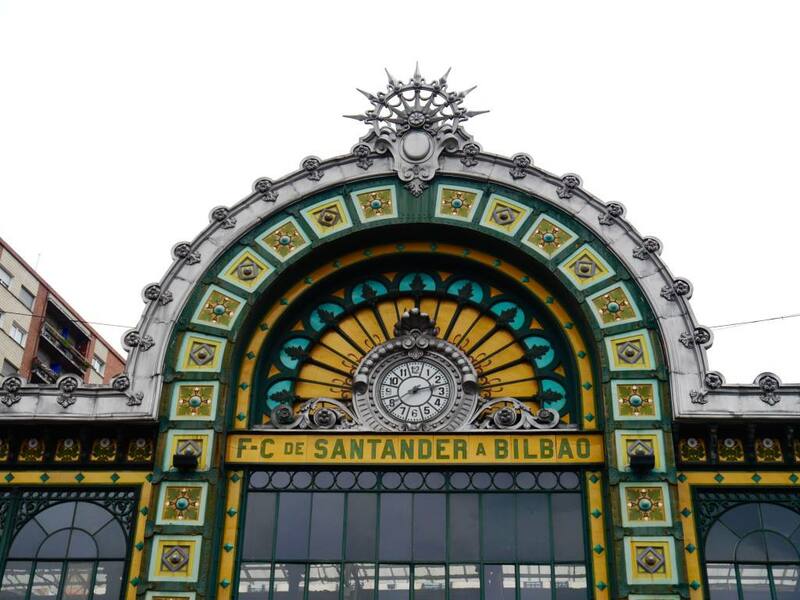 So for your final afternoon in Bilbao, jump on the Metro and head towards the coastal area of Getxo. The main attraction here is the famous Bizkaia Bridge. 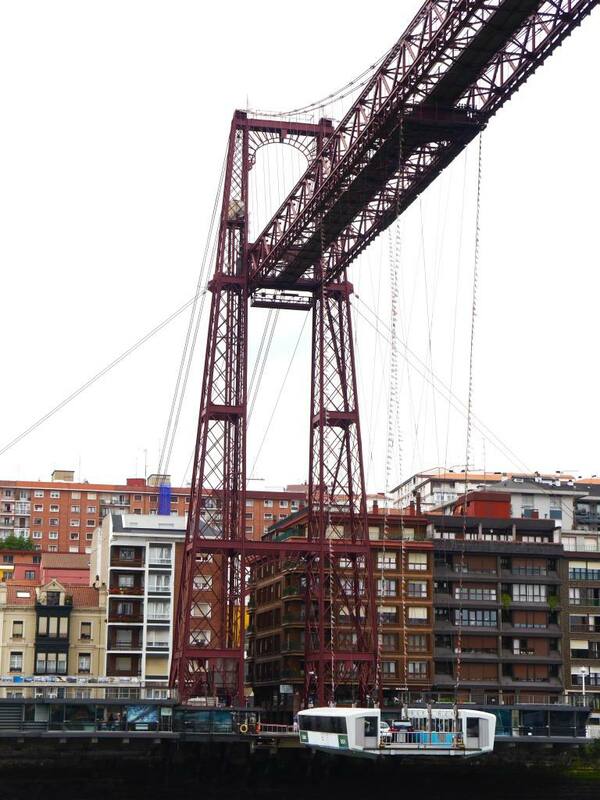 Dating back to 1888, it is the oldest transport bridge in the world and still in working order today. For some adrenaline-fueled fun, visitors can pay €8 to ascend 50 meters to the very top and cross the bridge on a 160m wooden walkway. The views are spectacular but it’s not for the faint hearted. If you have a fear of heights or prefer to take the cheaper option, you can hop in the Gondola for only €0.40 per person each way. There are a handful of restaurants on the Areeta side of the Bizkaia Bridge which provide the perfect lunch stop after your round trip. 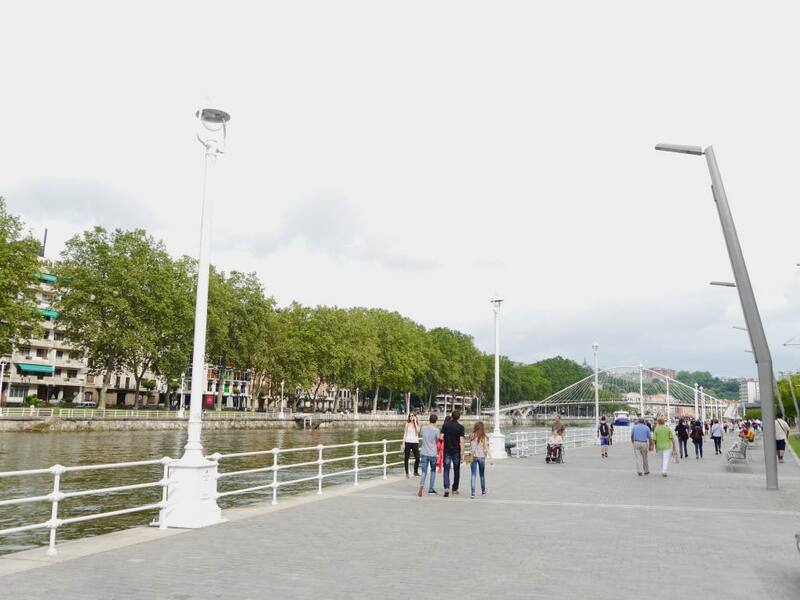 If you still have time to spare, take a stroll along the waterfront from the Bizkaia Bridge. 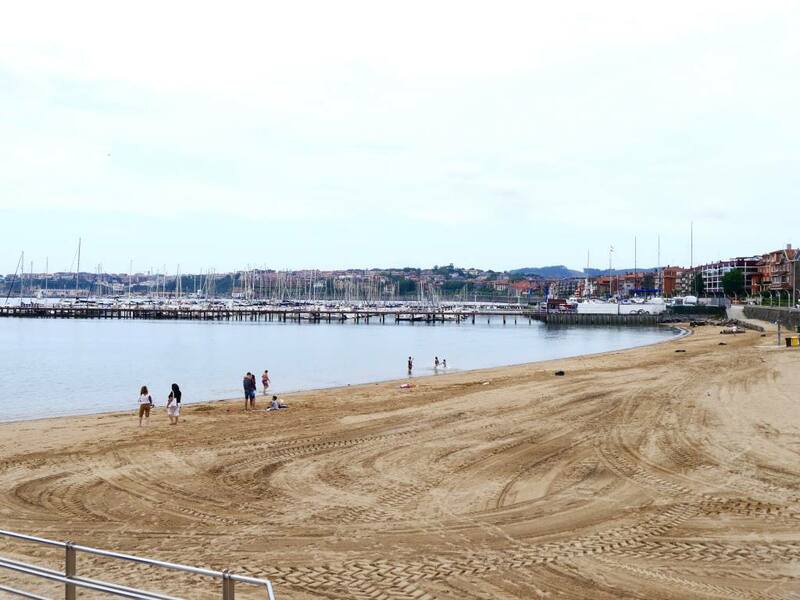 Following the pedestrian boulevard you will pass the Monument of Churruca, Las Arenas beach and the unique collection of waterfront houses. To get back to central Bilbao, hop on the metro at Neguri station and you’ll be back in 20 minutes. The Ercilla Hotel is a stylish 4 star hotel with a premium feel. Only 10 minutes walk from both the Old Town and the Guggenheim, the location is fantastic. Its adjoining restaurant Bermeo serves great Basque food and has much more atmosphere than your average hotel restaurant. Book Here. 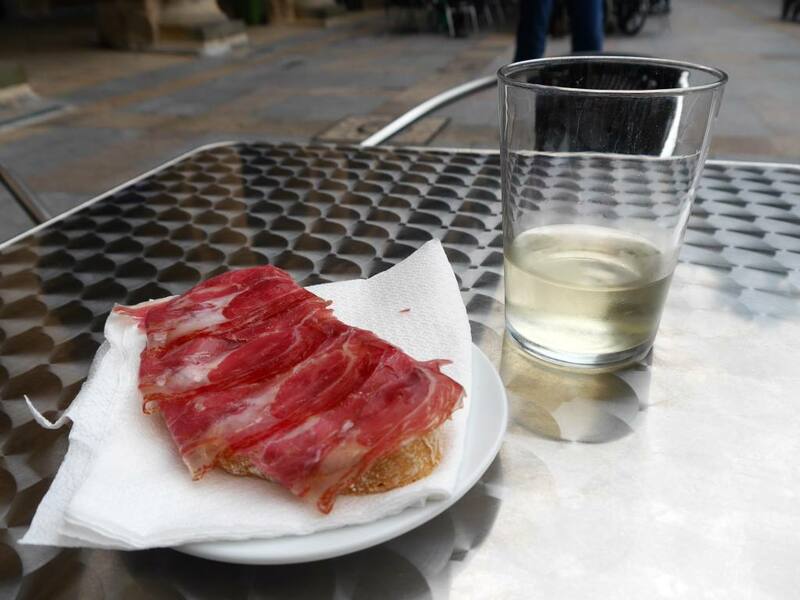 This blog post has been sponsored by the UK Spain Tourist Board as part of the #SpainCities campaign. All views, recommendations and photos are my own. Hi! 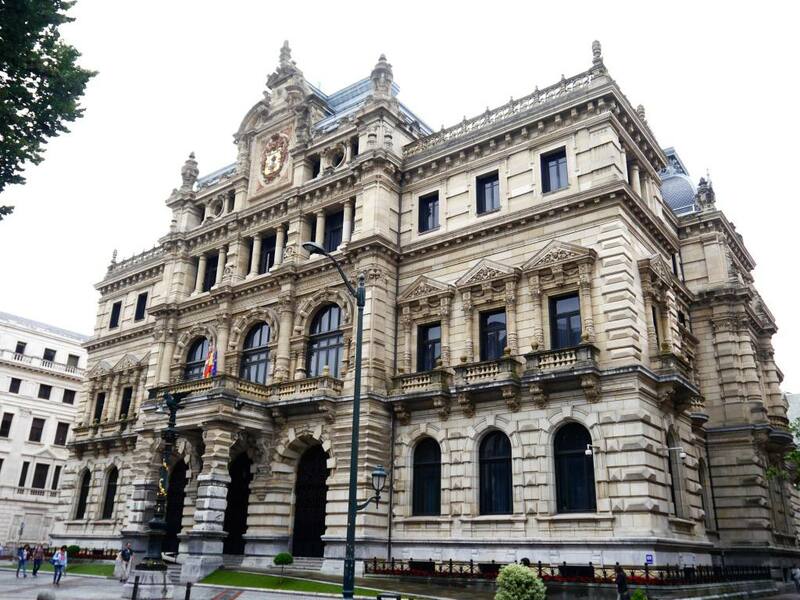 Im from Bilbao and Im happy to read to you about my city! Its a no very big city but we have a lot of interesting thing to do and to visit: Architecture, art, good gastronomy, sports,… There are other secrets in out city so visit us another time to dicover them! Hey Jess! Great post. Heading to Bilboa for around 48hrs soon so this was super helpful. Really condensed the musts. 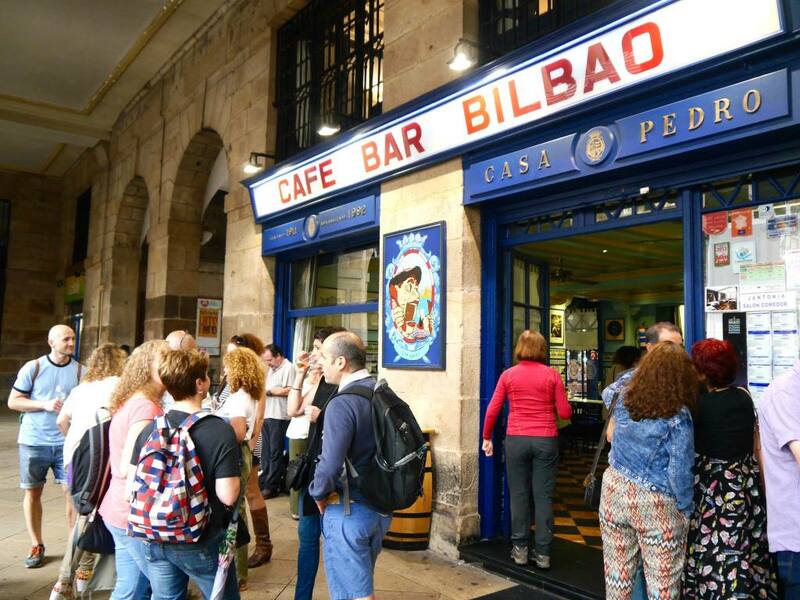 Heading to Bilbao for the first time this year, so this guide and your tips will come in handy! Looks like such a cultural and food-focussed city. 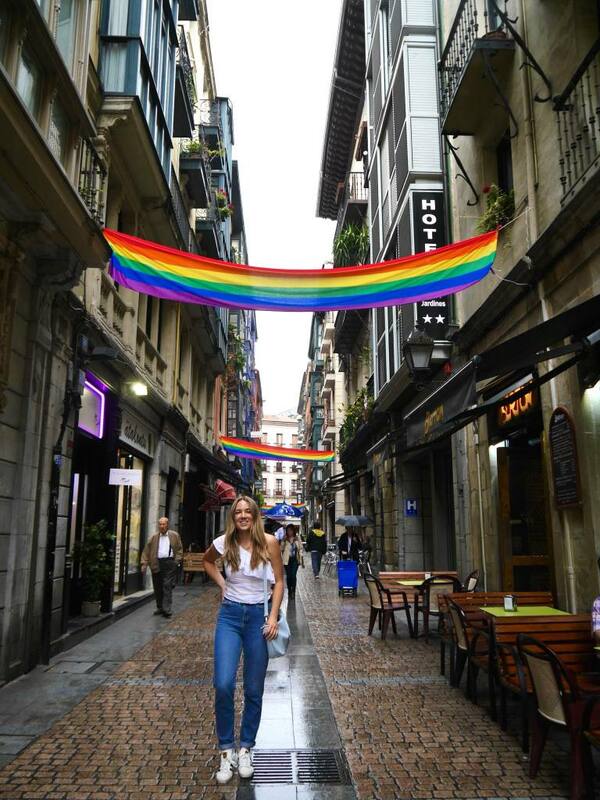 Been twice and going again in November….love this city and feel I have a connection with the whole Basque culture and food! !! 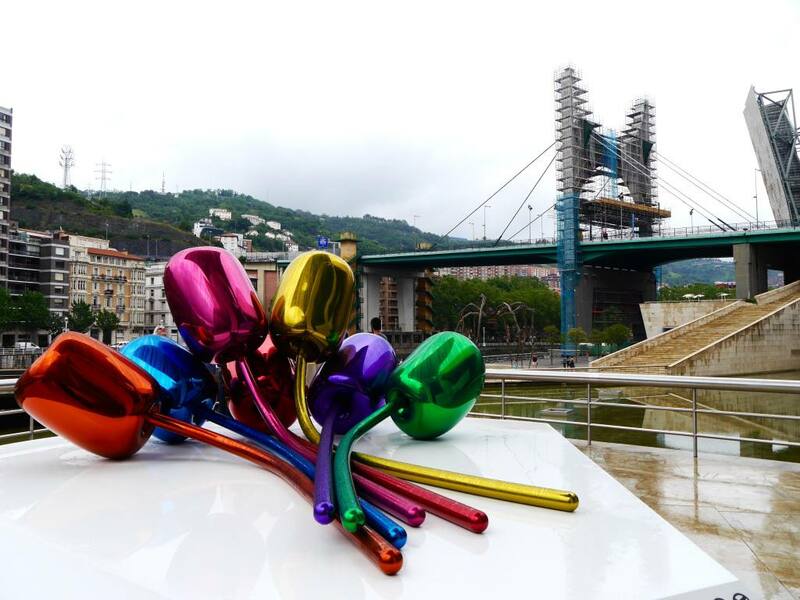 Bilbao has been firmly on my list of places to visit for a long time being a massive art fan! Somehow I’ve never quite made it there yet… I have a feeling when I do however, I’ll be spending most of one day at the Guggenheim! The bridge you featured also looks v.impressive! Great read! 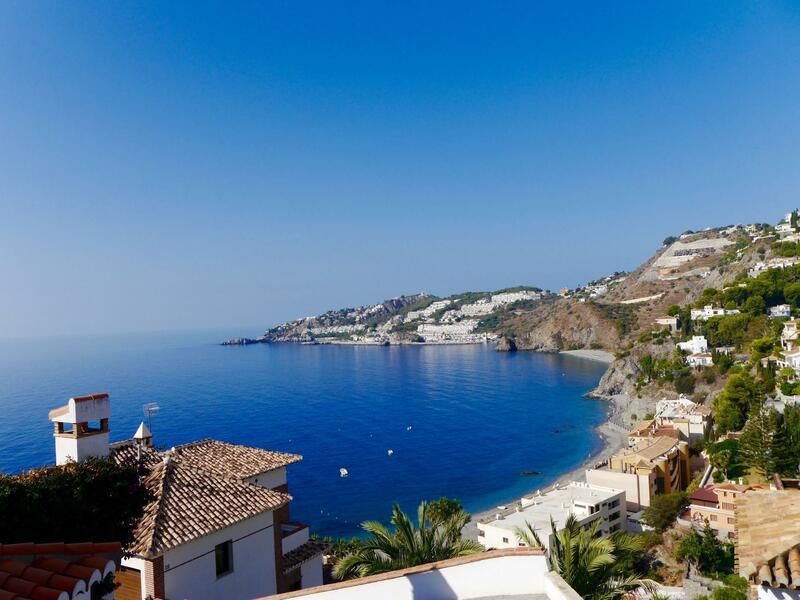 We were so close, yet so far away with #SpainCities! Bilbao looks very similar to Santander, with some equally amazing food! Our next time to northern Spain will hopefully Bilbao, and we’ll be using this to guide our way around! Looks like a lovely region and so much to do! I love the look of the Guggenheim – I went to the one in NYC when I was little and loved it! Nice to see what another #SpainCities buddy got up to! Thanks for the comment Chloe! I would definitely like to visit the NYC Guggenheim now I have been to the Bilbao one. Loved teaming up on the #SpainCities project. I know where to come when I need tips for Cadiz! The Travelista is an award-winning UK luxury travel blog from Yorkshire via The World. 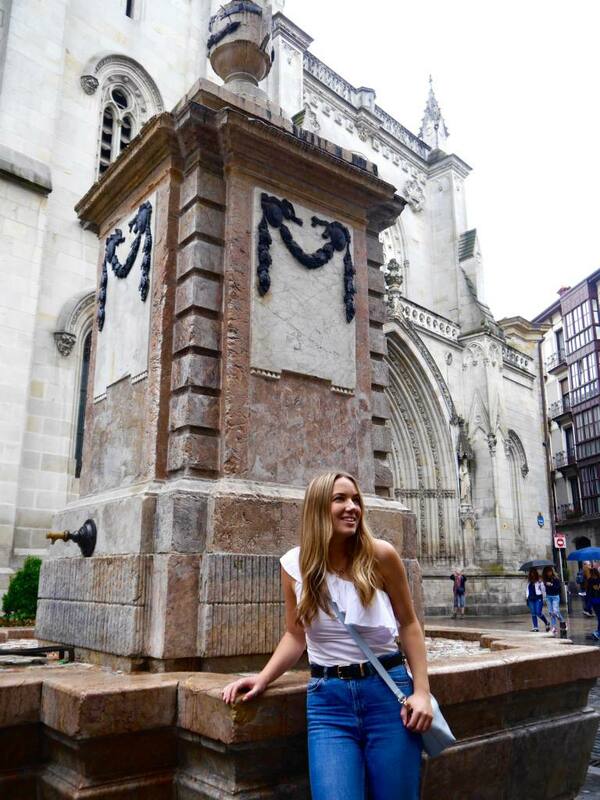 Based in Leeds but frequently travelling, Jess loves to combine local and global adventures. All posts that are packed with advice and recommendations to help you plan your own trips.